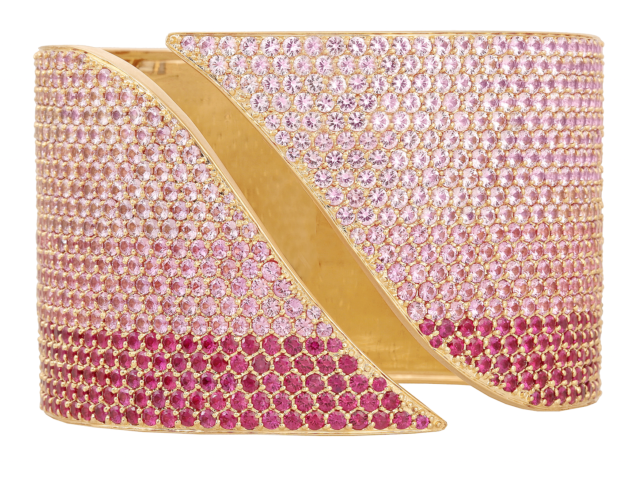 Who wouldn’t want to wrap her wrists in pink sapphires. 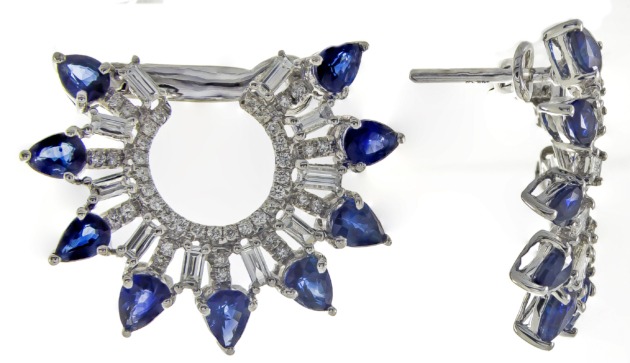 This cuff by Sandra Leong is truly to die for! 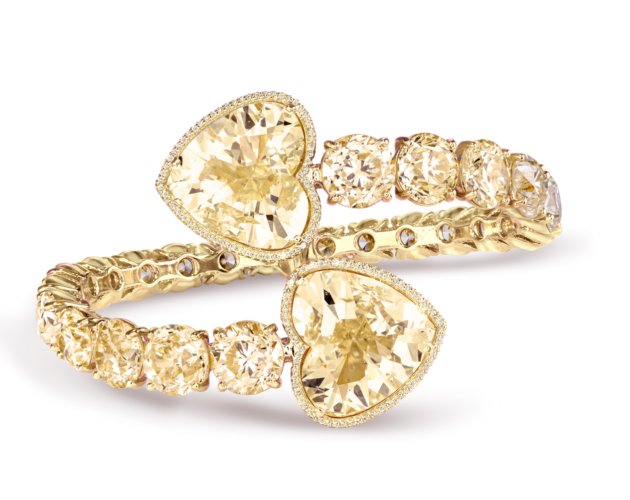 Yellow gold and yellow diamonds make the perfect couple for this be-still-my-heart ring from VTSE. 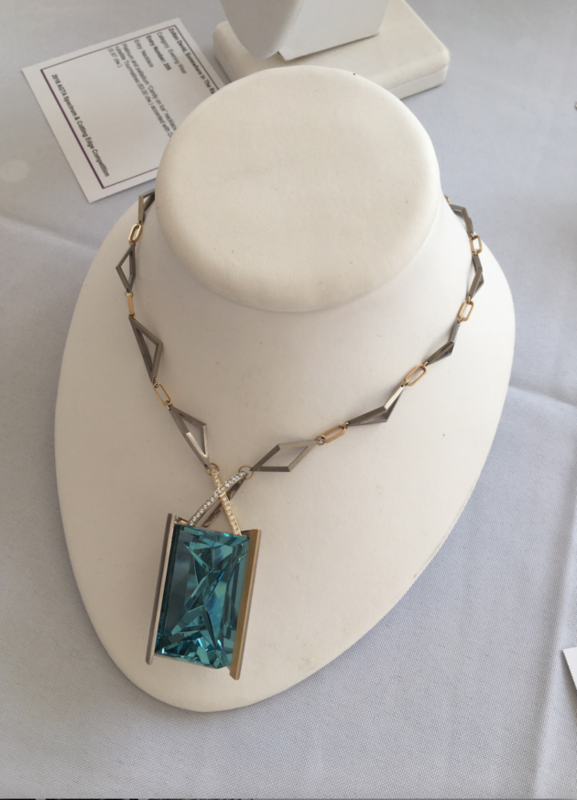 Like jumping into a warm, tropical sea—this gemstone pendant by Benjamin Javaheri of Uneek Jewelry stopped me in my tracks at the AGTA Spectrum awards. 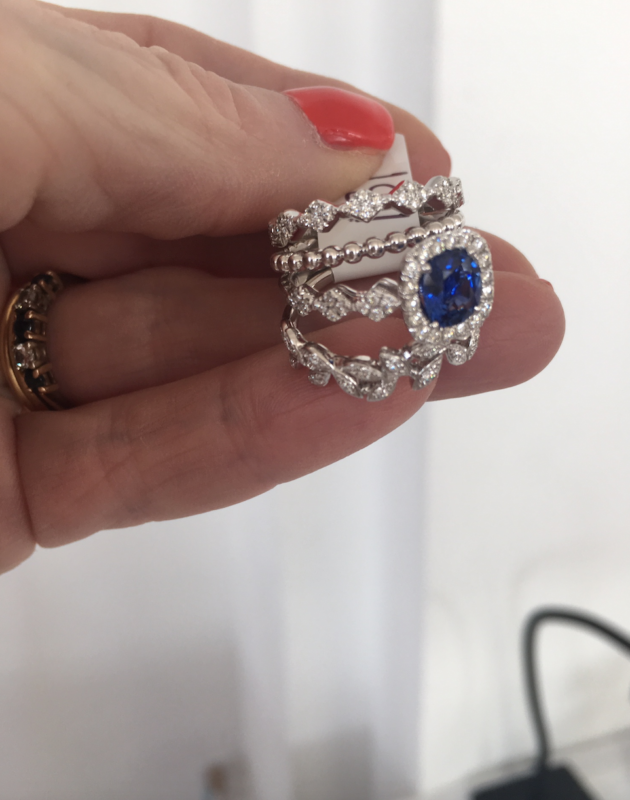 It only looks like a stack; this is actually one fabulous statement ring from Susan Helmich.